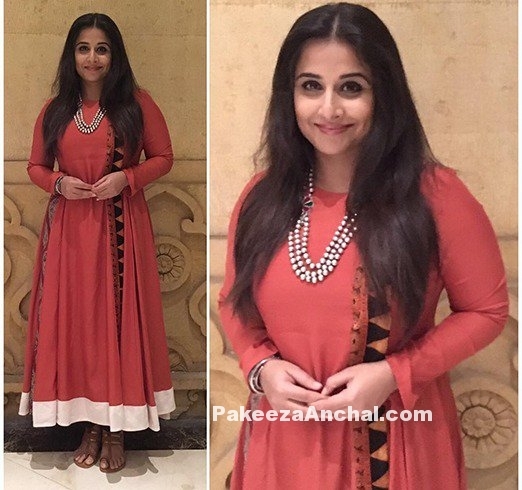 Vidya Balan in Red Print Uppada Silk Handloom Saree with light floral design embossing design with a elbow sleeved Cream and White chequered blouse during the interactive session on Revival of Handloom event in Hyderabad. Paired with a beads Jewellery necklace and curly hairs flowing down the pallu. 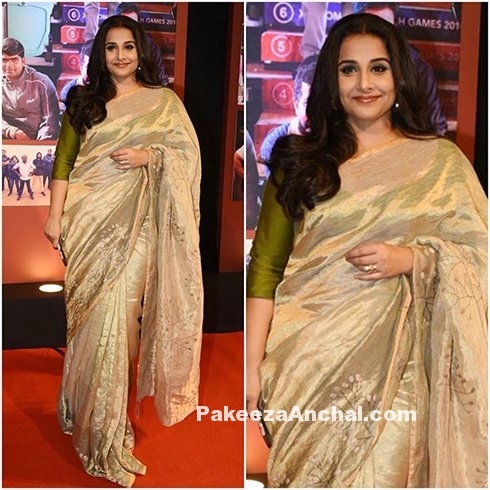 Vidya Balan in Silk Saree during the event looked awesome in this attire.